by adding lemon juice and honey mustard is perfect for this salad. What a delectable salad! Love the fruity balsamic cream. 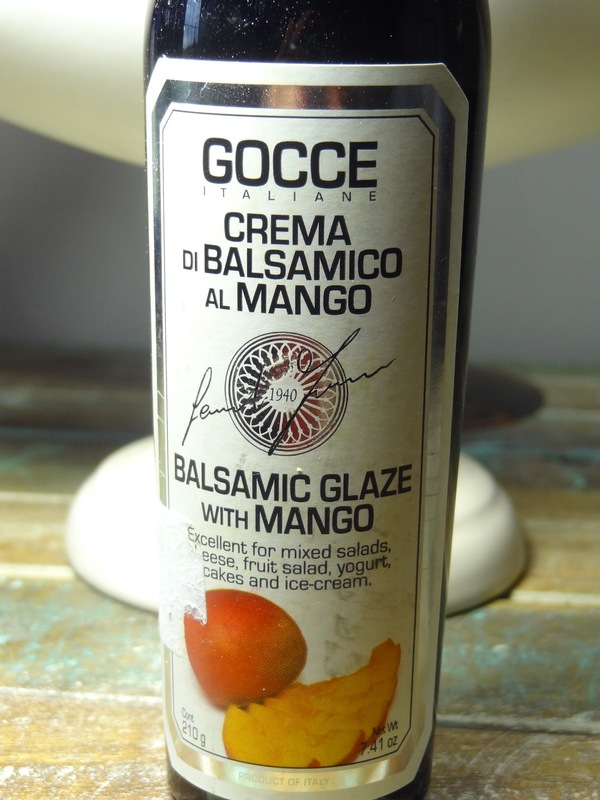 I've never seen mango balsamic before, but it sounds so good! I would definitely eat this salad for a light supper. I am just like you, lazy to go out to eat or pack food back home. I will ransack my fridge and cook something simple. Normally, at night I do like a plate of your spinach chicken salad. One plate is enough to fill up my stomach, very nice flavors and lovely looking. I love eating balsamic and mango and this balsamic glaze mango sounds flavorsome and tangy to me... Yum! Salads are my favorite easy, summer meal! This looks so good! wow...this is a tasty salad indeed!